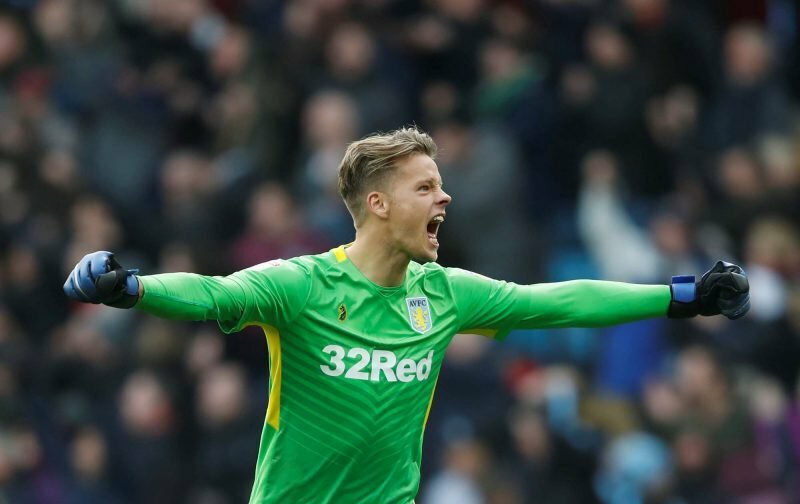 Aston Villa’s signing of Lovre Kalinic now looks like a brilliant bit of foresight following news of goalkeeper Orjan Nyland’s unexpected injury this week. The 28-year-old ruptured his Achilles during training on Sunday as we prepared for the Queens Park Rangers clash on New Year’s Day and speaking after the 2-2 draw at Villa Park, head coach Dean Smith confirmed that the Norwegian international would now miss the remainder of the season as he requires surgery to correct the problem and get him back on the road to recovery. Speaking to Sky Sports on Tuesday afternoon, Smith explained. Jed Steer was obviously quickly recalled from his loan spell out with Charlton Athletic as he took the position between the sticks for QPR but I think fans will read into that when it comes to the futures of Andre Moreira and Mark Bunn.